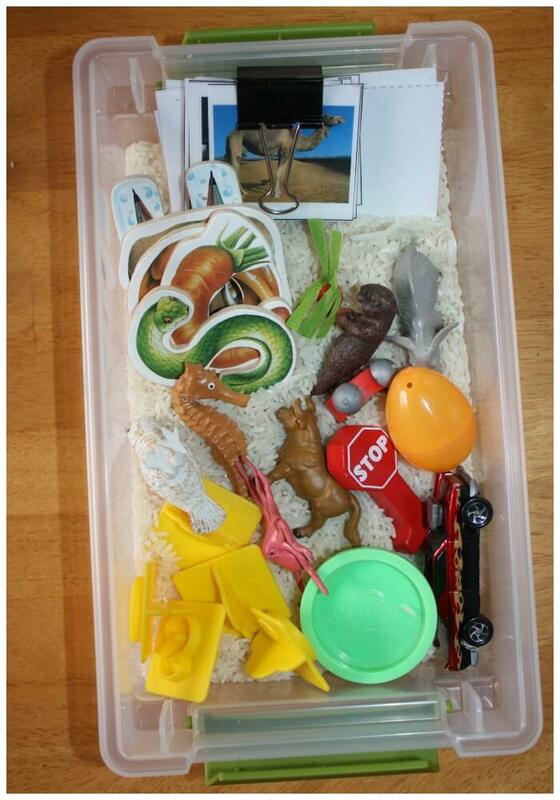 Try these mini alphabet sensory bins for a little hands on early learning this year. 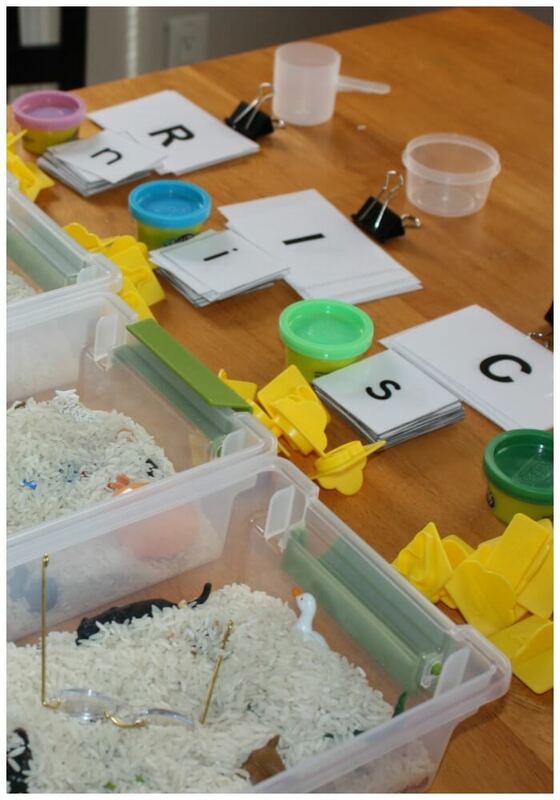 Sensory play makes for a rich learning environment to help spark the curiosity of any child. 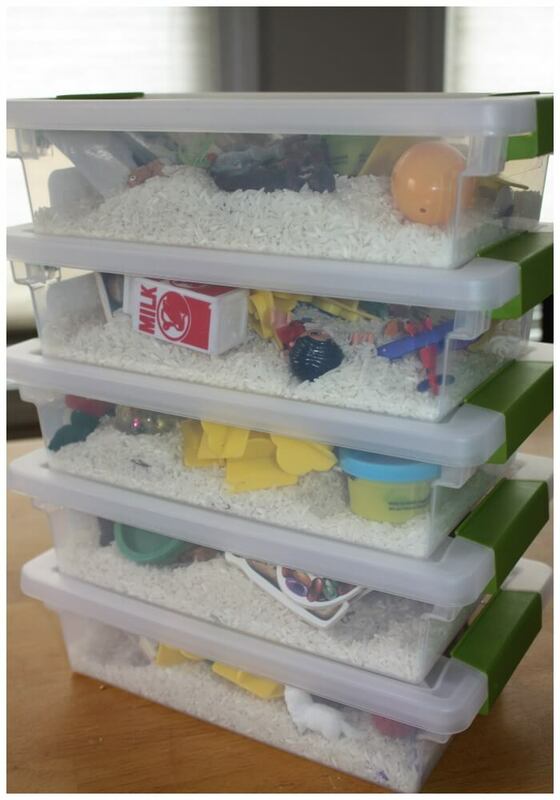 Engaging and plain old fun, rice sensory bins are a great way to engage with your child and engage several children at once! 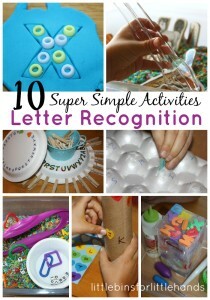 Build language, letter sounds and letter recognition with items around the house. 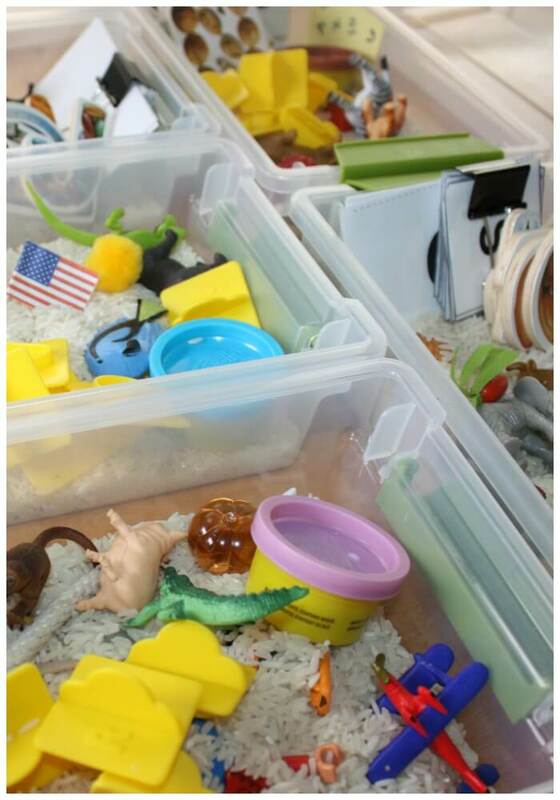 Sensory bins also build social skills and cooperative play, read my post on All About Sensory Bins here and check out our favorite fillers. What will you add? letters, upper and lower case (use flash cards, puzzle pieces, laminated print outs) I found an awesome set at Trillium Montessori that included some great photo images to add to the letters. You may have to contact them as I don’t see them readily available, but it should be easy to come up with your own too! Simple toys and objects from around the house, drink mix scoops and play dough! 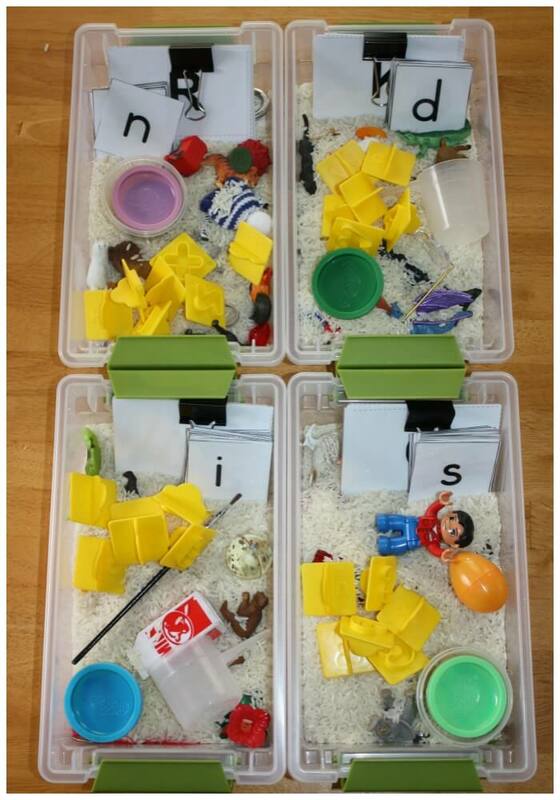 These simple mini alphabet sensory bins are great for little hands to explore and learn with while playing! Fun puzzle pieces make a great addition to mini alphabet sensory bins. If you are using all the mini alphabet sensory bins at one time, pull out the puzzle board as well. 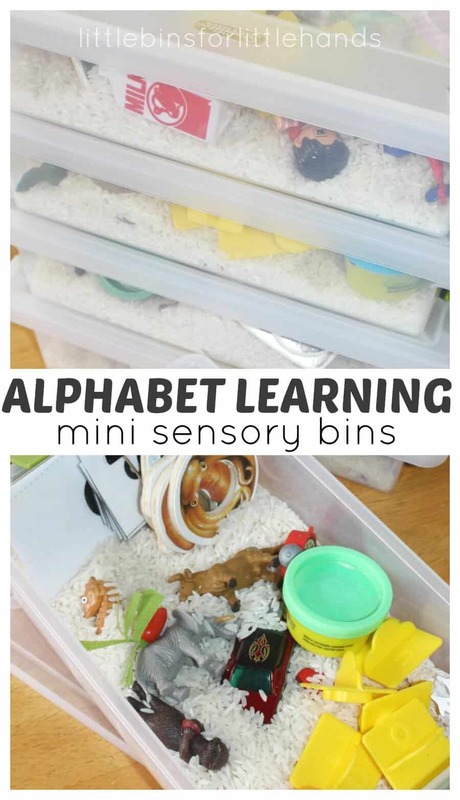 Work on one mini alphabet sensory bin at a time or all at once! 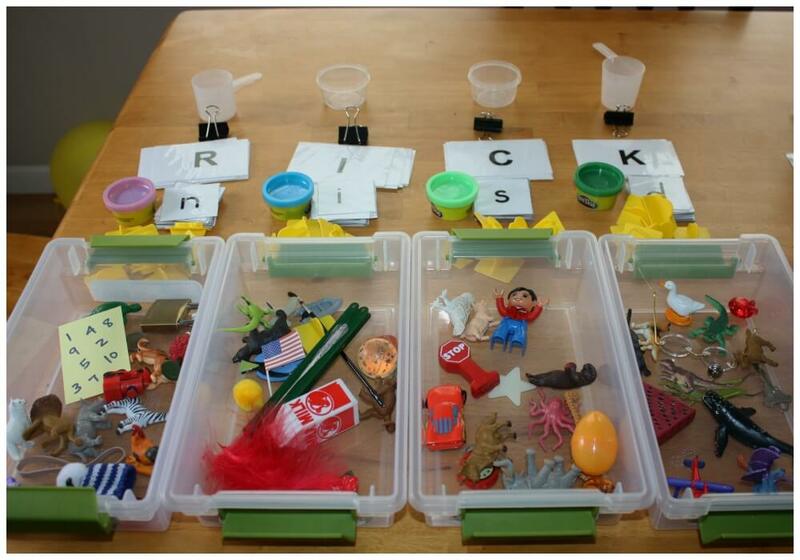 Challenge, take all the items out except letters and sort into the right mini alphabet sensory bins! That will keep them busy! Plus these mini alphabet bins stack Neatly stacks for easy storage. 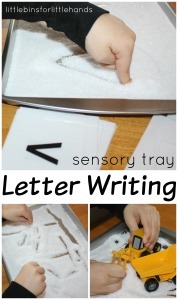 Easy Mini Alphabet Sensory Bins for Playful Learning. Make Early Learning Fun and Playful! 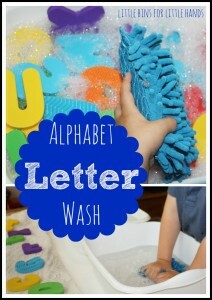 Alphabet Hands On Play Ideas To Try (click pictures for posts)! Great idea Sarah! Love it! Beautiful bins! I love your letter puzzle! Do you remember which brand it is? It’s a Melissa and Doug. Thank you so much!